The 32-year-old defender’s successes both on the pitch and in promoting sports across Spain over the years was acknowledged at the Real Casa de Correos in Madrid. 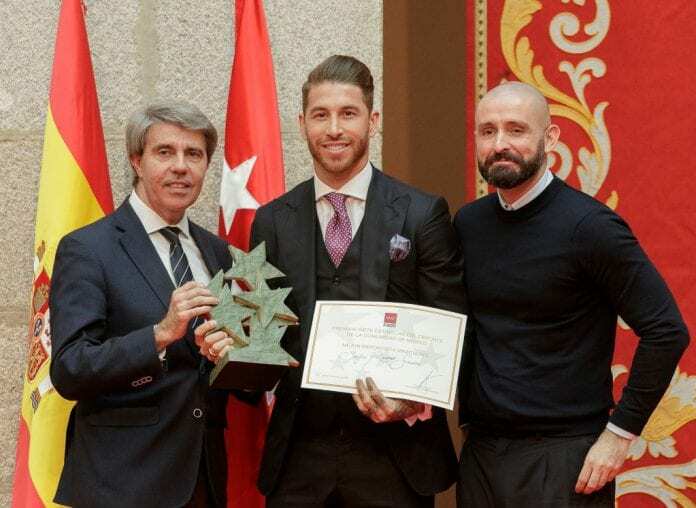 The head of Madrid’s regional government, Angel Garrido, was the one who presented Ramos with the prestigious award. “It gives me a real sense of both joy and pride to have been named best male athlete at the Seven Star of Madrid awards,” said Ramos at the ceremony, as quoted on the club website. “I am even more thrilled to get a prize for promoting and embodying sporting values. 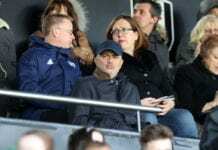 “I am from Seville, Andalusia and I certainly feel it, but the region of Madrid welcomed with open arms 13 years ago and it is here where I have grown as a person and a professional, and I feel at home at here. “I am proud to be Real Madrid captain and we have represented the region throughout the world in the best way possible, winning titles, providing the people of Madrid real moments of joy and always trying to live up to what the region represents. Ramos, who has scored seven goals in 28 appearances for Real Madrid this season, will now turn his focus to tonight’s Copa del Rey return leg against Leganes. Los Blancos hold a 3-0 aggregate lead from last week’s first leg with tonight’s game to begin at 21:30 (CET).